Acting State Entomologist Allison Kanoti says the pest was detected in an area without a lot of ash. However, the stop order would also include other items, including all hardwood firewood that hasn't been heat treated. “There are standards of temperature and time of exposure to that temperature that the wood would have to meet before it could be moved from the area within the order,” Kanoti says. The Maine Department of Agriculture, Conservation and Forestry is seeking additional feedback from the public before issuing the emergency order. 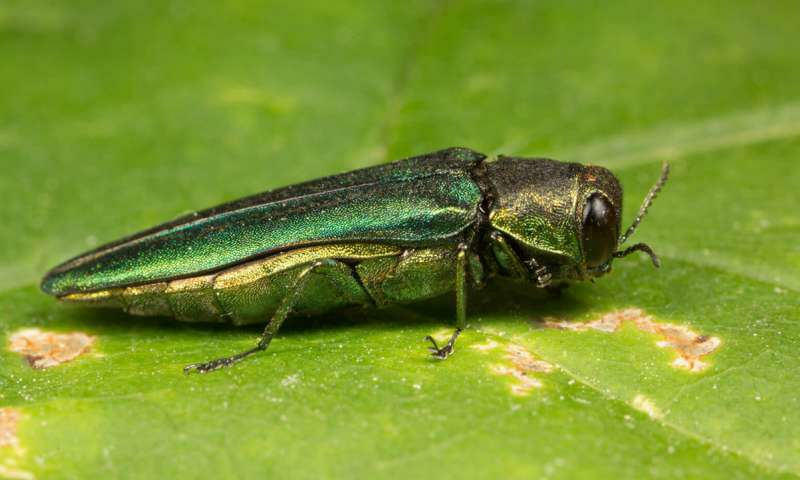 The emerald ash borer was found in Madawaska, near Frenchville, in May. The destructive pest has been rampaging across the U.S. and Canada since it was first discovered in the Detroit, Michigan, area in 2002. 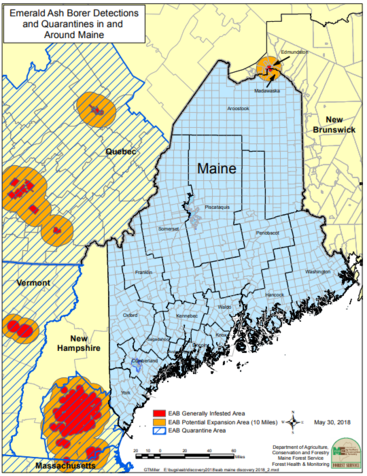 A map showing known infestations of the emerald ash borer in or near Maine. 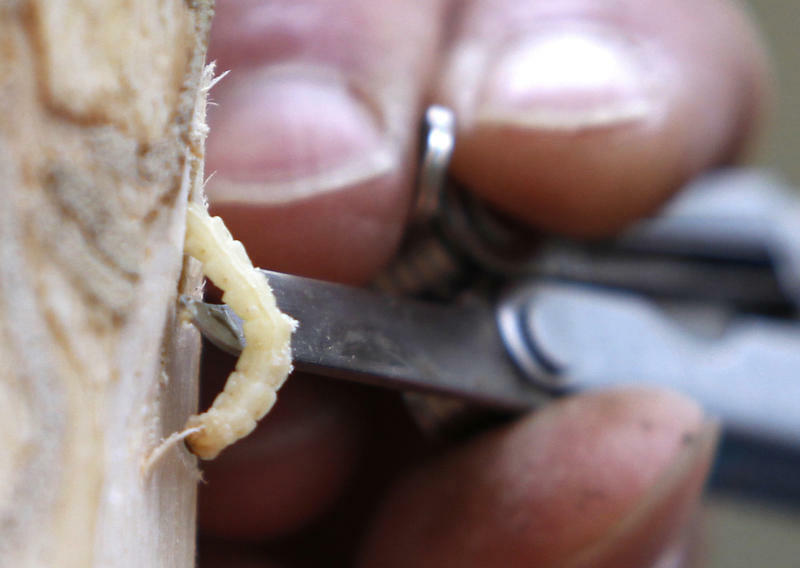 Since then, the borer has killed hundreds of millions of ash trees across North America, and Maine forestry officials say all three species of ash native to the state are vulnerable. A public information meeting was held June 18 in Frenchville. In a letter to sent out Wednesday, officials said additional public comments on the pending emergency order are due by July 25. More public input will be sought before any quarantines are put in place, officials say.